To test into some of Chicago's top schools, incoming kindergartners must be able to do more than just count to 10 or rattle off the alphabet. They could be asked to identify trapezoids, figure out how many cookies they'd have if Mom put two more on their plate, demonstrate advanced literacy skills and, for gifted programs, be able to infer relationships, recognize patterns and predict what comes next. You can probably predict what comes next yourself: With 3,337 applications filed for about 500 seats in Chicago Public Schools' classical and gifted kindergarten programs next fall, parents are helping their preschoolers cram for the tests. "It's just yet another example that the country has gone test crazy," said Robert Schaeffer, public education director for FairTest, a national nonprofit that advocates for other methods of assessing young children. "This sort of insanity testing produces test coaching for little kids and gaming of the system by parents and others to figure out what's on the test and get their kid a leg up. We're not letting kids be kids, and we're making them into little Einsteins." But with low-performing neighborhood schools an unattractive option and the cost of some private schools out of reach, many parents see CPS' selective enrollment programs as the best public education option in the city. As kindergarten is an entry year for most of those programs, many parents are hiring private tutors, researching tests used in other large urban school systems, finding age-appropriate questions online and doing whatever else it takes to get their kids on the right track early. "I was blissfully naive about how this all worked when my older daughter tested for first grade," said Shannan Bunting. Even though with no special preparation her daughter made it into Decatur Classical Elementary, a top-scoring school, "we realized we couldn't do that for our second child and just hope to be lucky," she said. This year she hired a former Montessori teacher to tutor her preschooler on everything from learning continents to sounding out words. Such a move would not be unusual in New York, where parents have for years hired tutors and paid upward of $1,000 for "kindercramming" boot camps for 3- and 4-year-olds, but in Chicago it's a new phenomenon. Although a test prep company called SelectivePrep offers courses for sixth-graders and up for admissions to top-scoring middle and high school programs, nothing similar exists for kindergarten. And getting a child in a school for that first year can help them ultimately secure spots in subsequent years, which is becoming increasingly difficult. This year, CPS has 13,058 applications on file for approximately 1,150 seats in classical and gifted elementary schools. Some of the best schools have found themselves rejecting students who score as high as the 98th percentile on entrance exams. CPS officials don't encourage prepping children for the tests because it skews the results, said Abigayil Joseph, head of CPS' Office of Academic Enhancement. "We want children to come to the table with their natural ability, without having been prepared," she said. "That's how we find the best match. We don't want them to come in and do well because they've been prepped, but then be in an environment that's two grades above their level." But that doesn't stop parents from trying to do what they consider best for their kids. Some even wonder why CPS doesn't follow New York's example and tell parents which test they use. "Why is it that there's so much secrecy about it?" asked Gail Wilson, who hired a tutor to work with her two daughters to prepare for gifted testing. "They tell you (that) you can't prepare, but you can." Author Karen Quinn, who parlayed her extensive research and her personal experience into a popular book, "Testing for Kindergarten," agrees with those parents. "So much of it is exposure to concepts," said Quinn, who sells a $300 Candyland-like test-prep game she developed. "If they're practicing the kinds of questions that are on these kinds of tests, they will be more prepped than a child that goes in cold." Quinn said her game can help spark the critical thinking parts of the brain and gets children familiar with answering test questions similar to those used for gifted programs. She also offers daily questions and tips to people who pay $5 a month to access her website, testingmom.com. More than 1,000 Chicago-area parents have joined. Tutor Lemi Erinkitola started a tutoring company for kids as young as 3, preparing children, mostly on the South Side, for CPS' admissions tests. She said that when she went through the process with her own three children, she found few resources. "I'm just one mother who wanted to do something because there was nothing out there," Erinkitola said. "I looked outside of Illinois and looked at other gifted programs. They were more transparent in terms of what they wanted kids to be prepared for, and I deduced that Illinois can't be that different." On a recent day, Erinkitola played with 3-year-old Jordin Offei, building a small tower with blue, white and red blocks and then asking the toddler to make exactly the same pattern with another set of blocks. 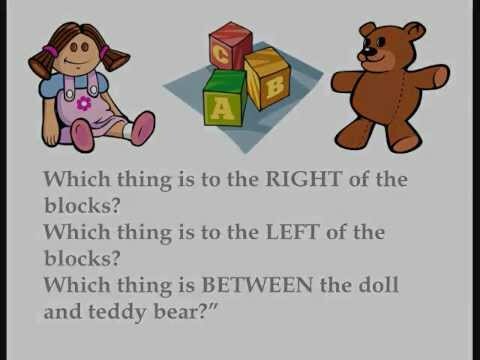 She was teaching visual sequencing, the ability to reason and solve problems using pictures, diagrams and geometric shapes. She then asked the toddler to pick out whether a peach or a green pepper would fit into a group of plastic fruits. She was teaching the child how to classify objects or determine the relationship between things. Jordin, who has not started preschool, still has two years before she takes the admissions test, but already her mother has noticed growth. "She can spell both her first name and last name, she can tell the difference between different shapes," said Jennifer Wright, 27, of Auburn. "She can pick up a book and she'll tell you what's happening on the page, sometimes she can even recognize the word." As for Bunting, she had her preschooler tested in November, rather than waiting closer to the end of the testing period, on Feb. 27. CPS officials had said it didn't matter whether 4-year-olds tested in the fall or now because their ages on test day are taken into consideration. But Bunting's younger daughter came out of the testing room after just 10 minutes and declared, "So I don't think I got any of those right." "I'm worried," Bunting said. "(CPS officials) had said there was no advantage to waiting, but she might have had a slightly more serious approach to the test. But there's nothing I can do about it now. The ship has sailed."